I have to tell you, I am mad at Starbucks! Yes, me, mad at one of my favorite coffee shops! Why you wonder? Because every time I walk in there I see that glass case full of delectable treats that I want, but never order. For the past month or so, I kept seeing their Cinnamon Chip Bread taunting me. It’s all thick and chocolatly looking and I want it! Have I ever had it? The answer is no! Why? Because I am afraid I would like it and the calories are way to high and I can only imagine how much sugar is in one piece of the bread. So what do I do to conquer my craving for this bread that I have never had, but want so bad? Try making it myself but with lower calories, less fat and way healthier then my favorite coffee shop! So how do I duplicate a recipe for a bread I have never tasted? Well Google it! I Googled Starbucks Cinnamon Chip Bread and low and behold it was on Starbucks website! So I changed out a lot of the ingredients and made my own version of their bread! It was a success!! My bread turned out rich, sweet and oh so good! And I mean good!! 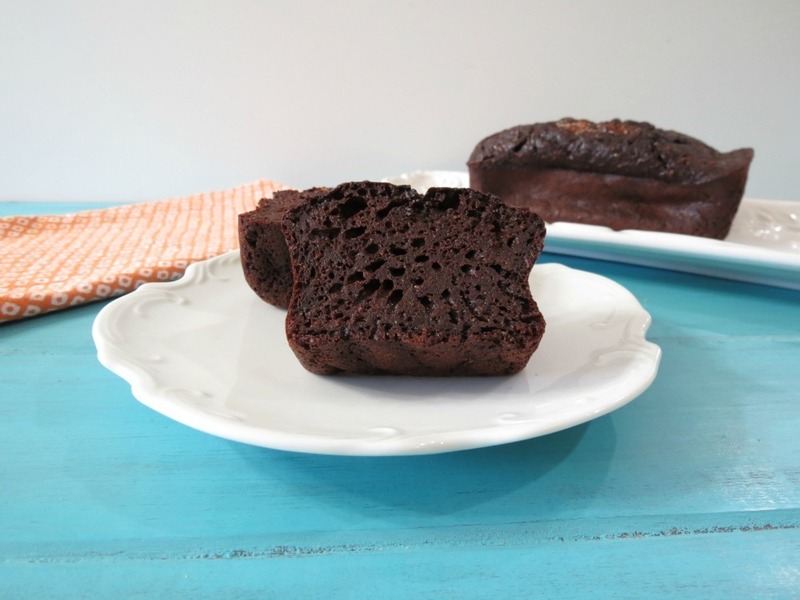 The bread is a combination of a chocolate bread, cake and brownie in one! I have to admit it’s pretty rich and a little heavy on the chocolate. You really need to have a big glass of milk or a cup of coffee with it!! 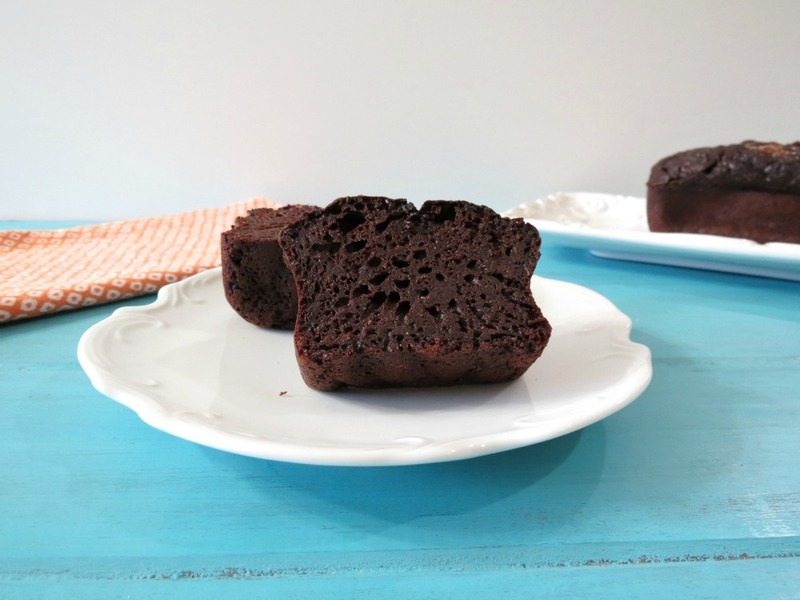 If you crave chocolate, then this is the perfect bread for you!! The original recipe contained 1 1/2 sticks of butter, 2 1/2 eggs, 1/2 cup butter milk and 1 1/2 cups of sugar. No thank you, that is WAY too much!! I guess that’s why it’s 370 calorie a slice. 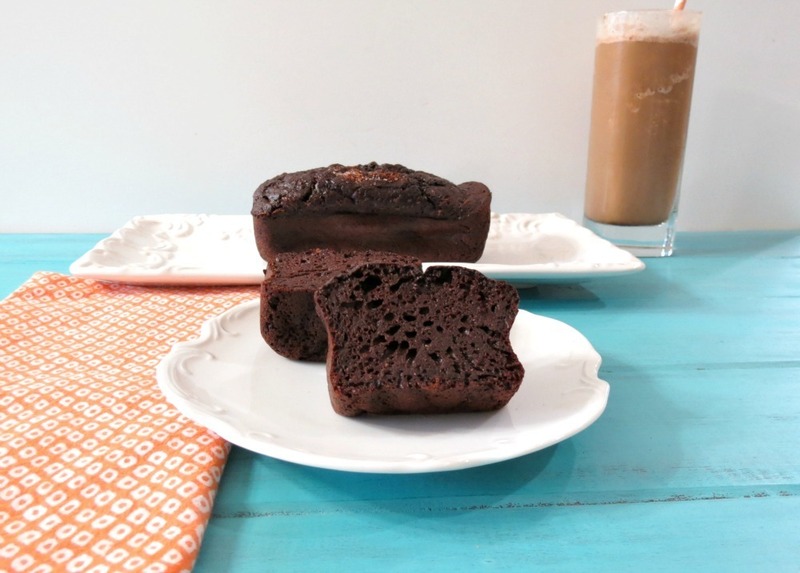 My bread is made with yogurt, coconut oil, egg substitute and 1 cup of sugar and is only 92 calories a slice! I can eat almost 4 slices compared to Starbucks 1 slice!! Yah! That makes me very happy and the best part is my bread tastes so darn good!! 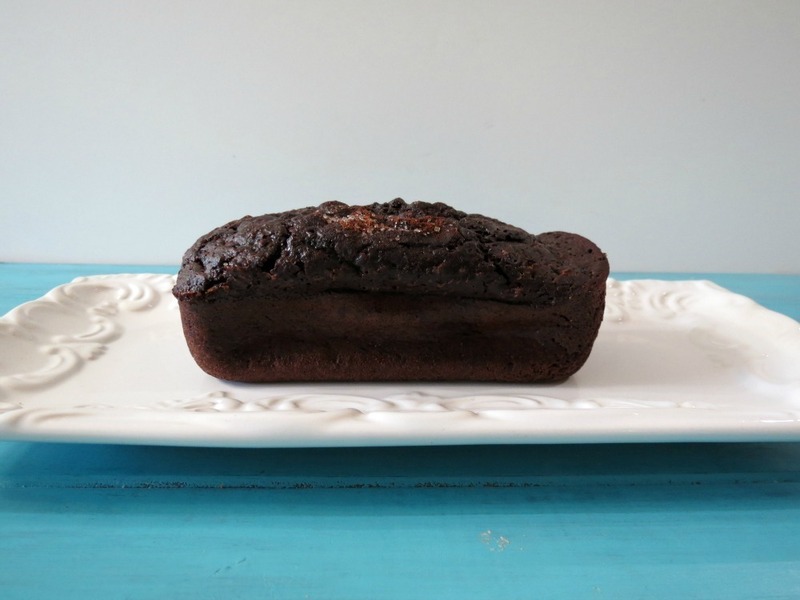 A healthy, chocolaty sweet bread with a hint of cinnamon and a sugar and spice topping. Spray 1 large bread pan or 3 mini bread pans with cooking spray; set a side. In a pyrex measuring cup or glass, add milk and lemon juice, set a side for 5 minutes. In a bowl add yogurt, coconut oil and sugar; mix until combined. Stir in egg substitute and mix until combined. In a separate bowl; sift together flour, cocoa powder, cinnamon, salt, baking powder and baking soda. In the glass with the milk, add water and vanilla extract. Mix well. In the bowl with the yogurt; mix in flour mixture and milk mixture, alternating between the two until your mixture is fully blended. Place batter in prepared loaf pans. Bake in oven for 45 - 50 minutes for large loaf or 25 - 30 minutes for mini loafs. Insert a toothpick in the middle, if it comes out clean the bread is done. Well, that’s it for me! Now I think I’m going to make more bread!! We ate it up pretty quickly in my house! You are such a smarty Jennifer! This sounds just delightful and I think Starbucks needs to start selling your version! Your funny! I wish SB would get some lower calorie treats. 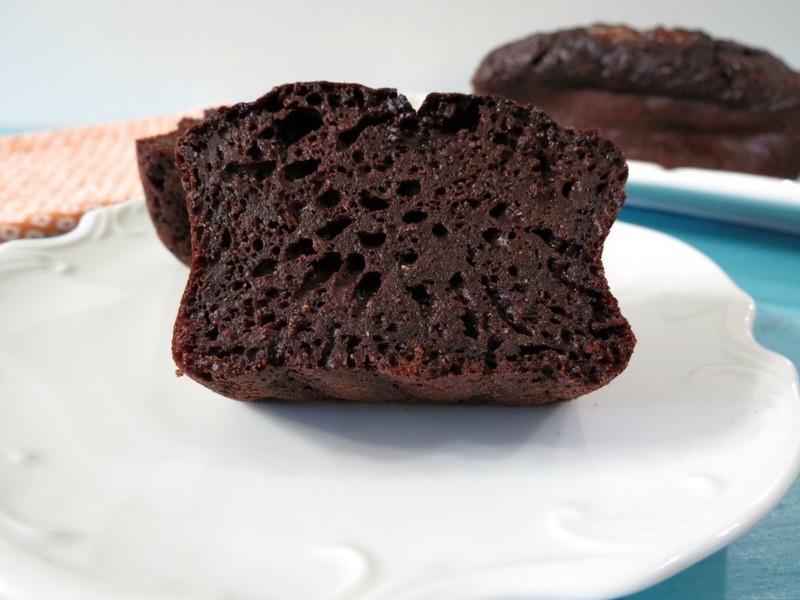 There reduced fat baked goods, have more calories and sugar then the plain. Crazy!! 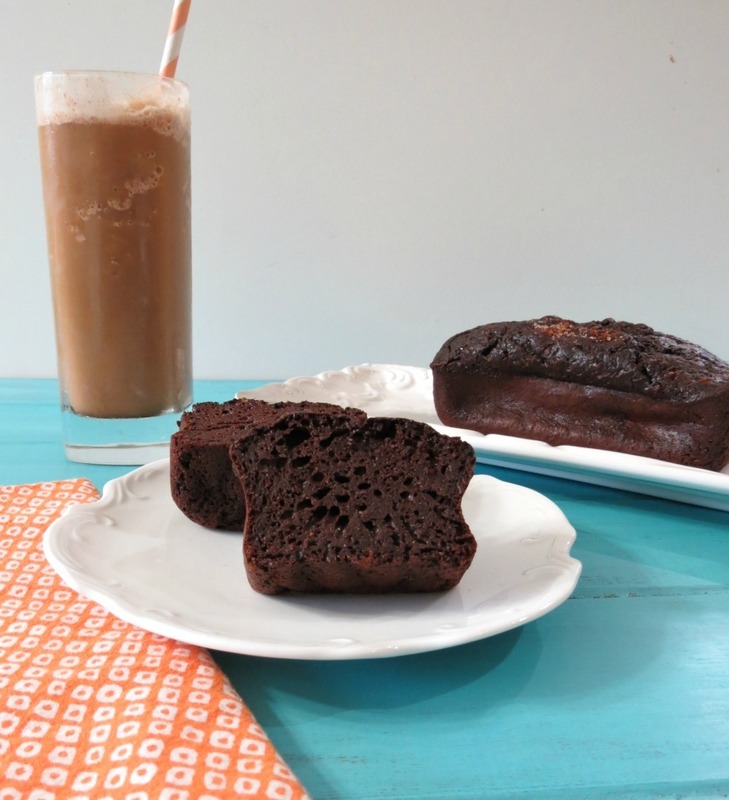 I feel like I constantly have cinnamon cravings…so this bread is totally my kind of treat! GO YOU for resisting it and recreating it! Hi! I buy the Presweet Tagatose straight from NuNaturals, here is there link. https://nunaturals.com/product/566 I love the Tagatose, it’s natural, no chemicals and is a great sub for sugar! No one I know can tell the difference. Hi Michelle, I’ll see what I can do. My Husband loves that bread too!! This sounds fantastic! thanks for making it healthy! Can’t wait to give it a try! I would much rather enjoy your version! It simply looks so light and soft and tasty, makes you feel like having one! This looks so decadent! WOAH! I gotta try this one! Yum! Starbucks does have some tempting treats!! Your bread looks JUST as crave worthy! You’re a lifesaver! And I totally feel your pain. All of their desserts look delicious but one look at the calorie count scares me away. I just have to keep reminding myself of the high triple digits when I almost crack. I love that you have a copycat recipe! Don’t you just love when the dessert taunts us? It’s complete torture! But I’m pretty sure when I make this bread…I’ll have to have a sit down share time with all my neighborhood girlfriends so we can eat it all gone all at once! I loove cinnamon, and I love your version of this! Like you, I’ve never tasted the real thing, I know it can only spell trouble! I’ll have to try your version! I would be in haven with a slice of this in the morning! Any kind of oil will work out great, I would recommend cannola oil. Let me know how it turns out! I rarely go to Starbuck’s because their drinks and pastries can be so expensive, but man… Ours never seems to have this bread, and it’s probably a good thing. I’d be so tempted to eat a slice! Chocolate and cinnamon are two of my absolute favorite flavors. I’m so glad you made a healthier version — I’ve already saved it on my “Want to Try” board on Pinterest! The bread is going to be gone as of tomorrow! SB is going to carry new pastries and treats and I heard there is sampling tomorrow!! If you do try the bread , let me know what you think! I bet a lot of people are disappointed in Starbucks new food line. They had some really great breads. That darn Cinnamon Chip alwasy called me, but I never had it, but wanted it!